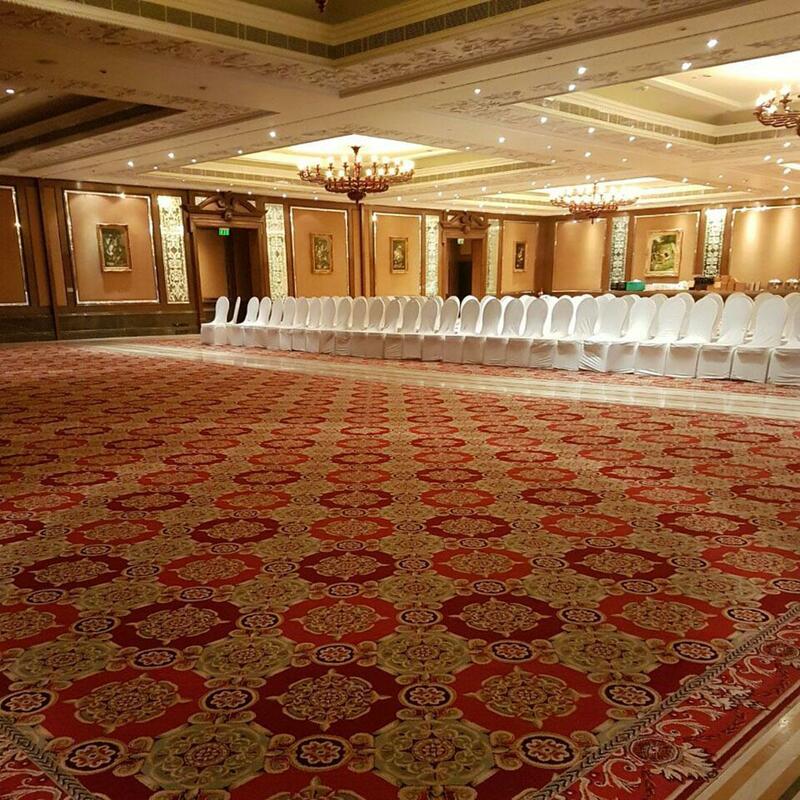 Brintons is privileged to design and supply a custom designed Axminster carpet for the banquet hall at the Taj Krishna in Hyderabad. The Taj Krishna is located in Banjara Hills, in the historical city of Hyderabad. 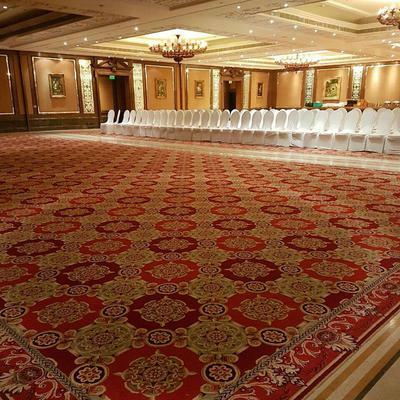 Brintons was specified to design and manufacture a traditional woven Axminster carpet for the hotel’s magnificent banquet hall. 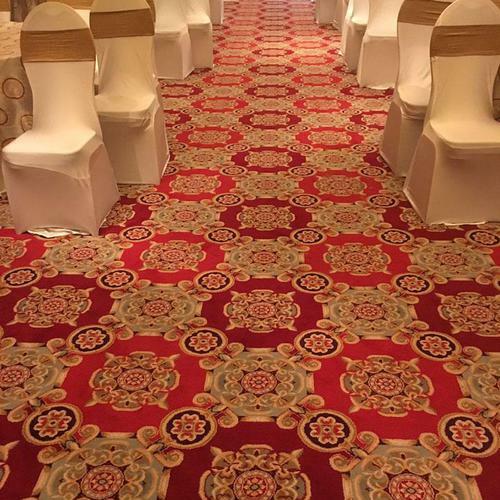 Brintons designers looked to the hotel’s history and heritage in developing a solution for the banquet hall’s floors. 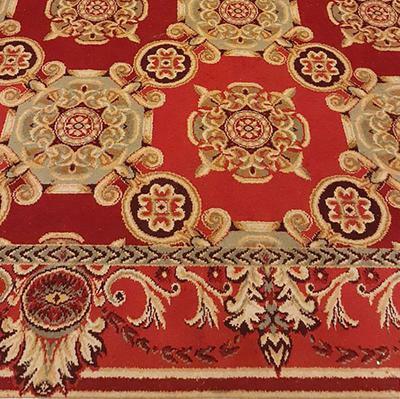 Inspired by traditional medallion patterns, Brintons designers developed a formal, floral motif in rich, opulent red and gold tones – the epitome of regal, five star luxury. Designed for performance, the wool-rich woven Axminster carpet provides guests at the Taj Krishna comfort underfoot, whilst improving acoustics in the banquet hall. The carpet is made in Brintons own 80% wool 20% nylon blend providing excellent wear and appearance retention qualities. In addition to providing design and project management services, the team at Brintons offered full onsite installation and technical support to ensure the successful, on time delivery of the project. 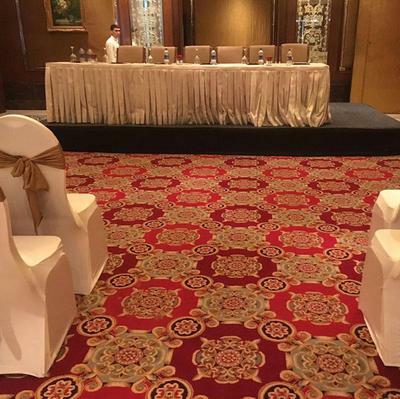 Brintons Carpets India came on board for executing our Taj Krishna property. Brintons worked closely with our project team and were successful in bringing the desired results for the project. The design looks fantastic in our luxury property. Brintons have suggested and supplied a premium quality Axminster product for our premium customers. 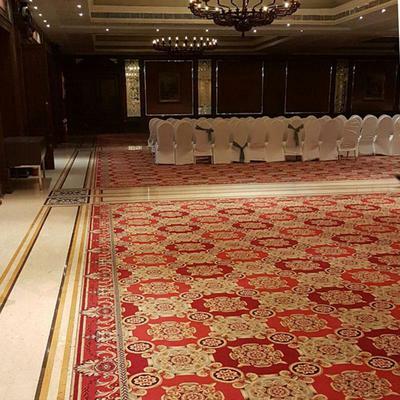 The timely delivery with complete coordination on the installation support made the change over from the old carpets very easy and efficient.